Her racing career was brief – just two years – but Happy Lady’s impressive exploits are undoubtedly worthy of Hall of Fame recognition. 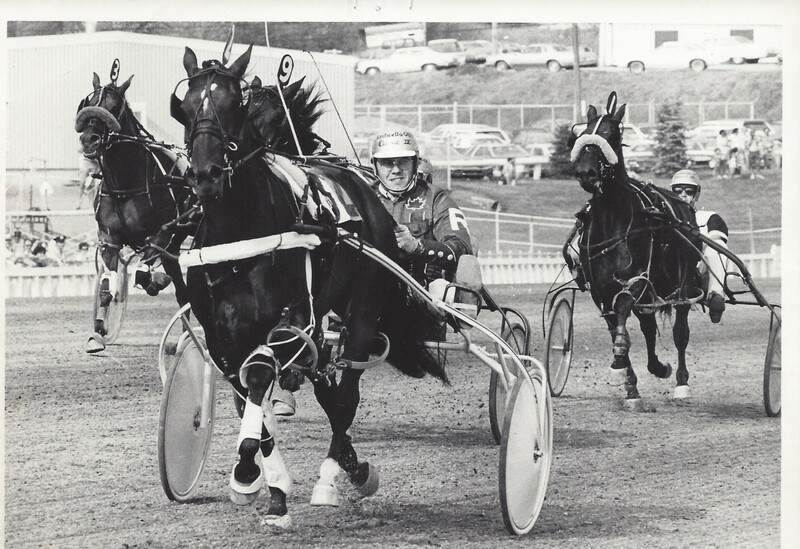 A daughter of Most Happy Fella, Happy Lady’s two years on the racetrack – 1977 and 1978 – for owners Myra Masterson of St. Catharines, ON and Linda Lockey of Ridgeville, ON, were defined by consistency and championship-caliber performances. 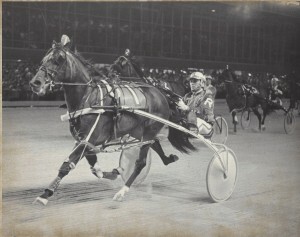 Bred by J William Masterson of St. Catharines, the bay won $528,825 in purse earnings and attained a life’s best mark of 1:55.3. Trained and driven by the late Jim Rankin, she fell one race shy of a perfect record in her juvenile campaign, one that yielded 15 victories from 16 starts. Happy Lady was named the two-year-old pacing filly of the year by both the Canadian Trotting Association (CTA) and the United States Trotting Association (USTA). There was no sophomore jinx, as she won 19 of her 24 three-year-old starts. Happy Lady holds the distinction of being one of only two fillies to ever win the Monticello OTB Classic. Her 1:58.4 triumph in the Lady Maud at Roosevelt Raceway was a stakes and track record. Said Rankin after the three-length Monticello score, “They say the best horses race in front and that’s where she raced. I wanted to race her in front. In a 10-horse field there is a lot of traffic, and I wanted to be up front controlling it. Happy Lady’s year-end hardware haul included three-year-old pacing filly of the year for the Canadian Trotting Association, United States Trotting Association and Harness Tracks of America, as well as Horse of the Year for the CTA. Her life was cut short on January 10, 1981, when she died – along with 13 other mares – in a barn fire at Castleton Farms in Kentucky, while in foal to Bret Hanover.